Asphalt emulsion is used to make roadway surface pavements more effective and to reduce the cost of road construction projects. As compared with the traditional ways of road surface coating, bitumen emulsion allows companies to save up to 30% of bitumen and reduce energy costs by 40 %. It is worth noting that the advantages of bitumen emulsion are too numerous to list them all, but the following are the most notable: (1) the cost of road construction projects is reduced; (2) the risk of fire is reduced to minimal levels; and (3) the environment is better protected from waste and emissions. Bitumen emulsions are widely used for tack coats that provide the best tire traction. As a result, the roadways are safer because of a more durable and shear-resistant road surface created by the modern bitumen emulsion prodicts. The GlobeCore UVB-1 line of equipment is designed to produce bitumen emulsions. This equipment produces all types of bitumen emulsion according to the desired formula. 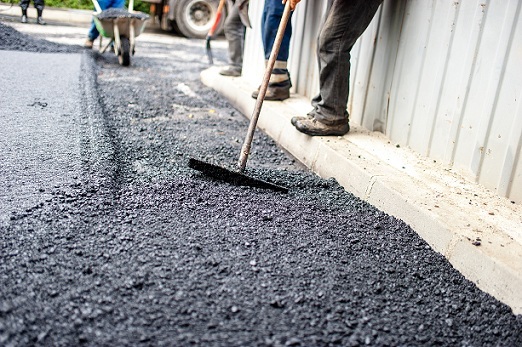 The distinctive feature of bitumen emulsion is that it has improved performance characteristics and can be used by road building companies, or bitumen concrete plants. The operation principle of bitumen-emulsion equipment consists in blending water and bitumen phases with emulsifier. The quality of the final product directly depends on the blending process. The UBV-1 units are equipped with colloid mills that provides the high-quality bitumen. The GlоbeCоre line of equipment helps to solve a wide spectrum of difficult problems in the road construction industry!